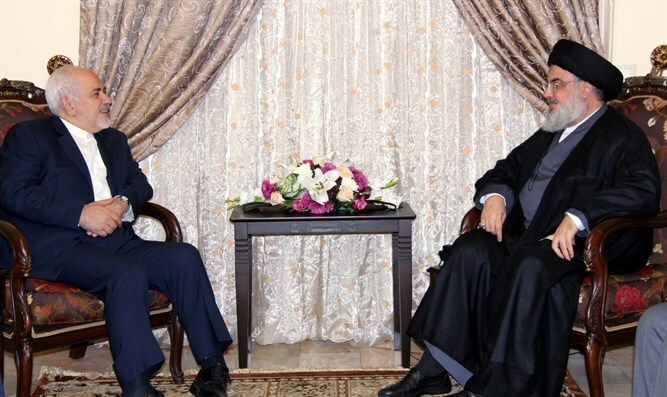 Mohammad Javad Zarif meets Hassan Nasrallah, reiterates Iran's support for Lebanon. Iranian Foreign Minister Mohammad Javad Zarif on Monday met Hezbollah leader Hassan Nasrallah during an official visit to Lebanon. The meeting was held in the presence of Iranian Ambassador to Lebanon Mohammad-Jalal Firouznia and the delegation accompanying Zarif, according to the Naharnet news website. “Nasrallah thanked the Islamic Republic of Iran and its officials and people for what it has offered to Lebanon, Palestine and the region's resistance movements and peoples in the confrontation against Zionist aggression and takfiri terrorism,” Hezbollah’s Al-Manar TV said. The Iranian foreign minister, who arrived in Beirut on Sunday, extended an offer for Iranian military assistance to the US-backed Lebanese army. Zarif’s comments came a few days after Nasrallah urged Lebanon’s government to accept anti-aircraft weapons from Iran to confront Israeli aircraft. He also said Iran was ready to provide Lebanon with electricity and medicine.